I’ve been reading about Barbie with new sizes and shapes. My grandkids have Barbie dolls, and not one has ever said anything about Barbie’s unrealistic figure. I’m 59 and as old as Barbie. I loved playing Barbies. They had careers and no one thought anything was wrong with Barbie. We just played. I got my kids and grandkids Barbies and G.I. Joes. No one says anything about G.I. Joe’s unrealistic chest and biceps. My daughter had a school meeting about the doll “situation.” She, and other moms, were criticized for letting their kids have the “unrealistic” Barbies. The teacher said my granddaughter (in first grade) said mean things to the anti-Barbie girls. It turns out they were bullying her for having Barbies. 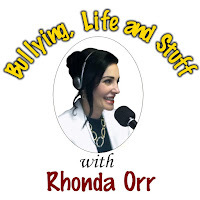 I went in to “have a voice” about who’s being bullies to whom. My daughter was angry. She’s giving in to the PC crowd and she’s getting her girls the new “normal” Barbies. They’ve been shamed into thinking they’ve done something wrong. We really believe this controversy is much ado about nothing. It’s true that Barbie would be either: 32-17-28, typical of a woman suffering from anorexia or 5-foot-9, have an unrealistically long neck, and weigh 110 pounds, only 76 percent of her healthy weight. Her measurements would then be 39-18-33. We found it harder to find information on G.I. Joe (evidently not as many people care about his unrealistic looks), but he’d have a 55-inch chest and a 27-inch bicep. His bicep would be as big as his waist. We think fair questions to ask are: How realistic are Cabbage Patch, troll, pocket dolls, and Raggedy Ann and Andy dolls? What about the big heads on Bratz dolls? Look at the history and definitions of dolls that say they’re a child’s plaything. Adults have ascribed a standard to Barbie that she doesn’t need. Barbie dolls have been a fantasy toy for 59 years, not an icon to imitate. Let’s stop blaming a toy for our cultural ills and stop shaming girls who want to play with them. Let’s concentrate on humans who know it’s unkind to fat-shame. Kids know it’s a toy. One celebrity, Amy Schumer, who was the subject of unkind internet comments suggesting she didn’t have the ideal figure to play Barbie in an upcoming movie, said her critics “are in more pain than we’ll ever understand,” and advocates laughing at people who disagree with her. Let’s leave dolls out of it.